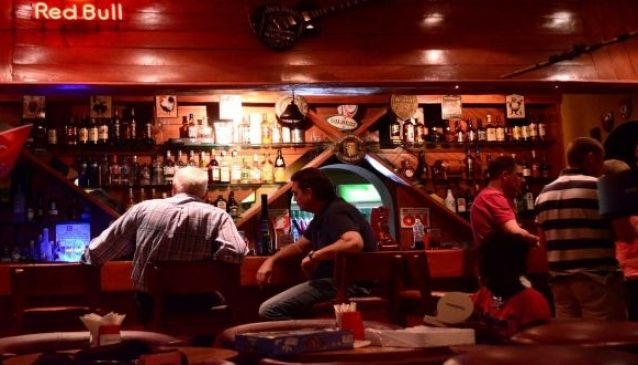 Pat's Bar and Restaurant is a British sport bar decorated with bamboos and a thatched roof. The bar is a popular hangout spot amongst residence of Victoria Island and Lagos at large who like to have a good time and delicious meals. They have a live band that thrills guests at night and you can decide to sit in the outdoor beer garden or the outdoor bar. The pricing at Pat's Bar and Restaurant is pretty good, you can get fish and chips for N3,200; appetizers are not more than N1800; burgers range from N2000 to N2690; nothing on the Nigerian menu is more than N3,500; steak goes for N3300 to N6500; pizzas are not more than N3000; the Mexican is from N2600 to N4500 and deserts are not more than N1300. One top secret, they have happy hours every weekday from 6pm-8pm and a complete English breakfast every weekend!